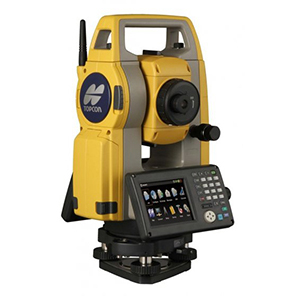 This innovative Topcon ES-105 Total Station sets a new bar on performance, speed, precision and security. With 2-second accuracy, the Topcon ES was designed from the ground up to deliver the very latest technology advantages in a small, sleek design. The Topcon ES-105 Total Station feature class leading EDM that is able to measure up to 1,640 feet in reflectorless mode and approximately 13,123 feet using a single prism at an incredible 2mm + 2ppm accuracy. Measurements can be as fast as 0.9 seconds and the Topcon EDM algorithm reduces the signal noise associated with non-prism measurements, providing accurate results over longer distance. Topcon’s advanced Independent Angle Calibration System (IACS) allows the survey instrument to self-calibrate its own angle measurement system. With tangents that lock, you can be assured that the instrument will hold your angle in place. LongLink is another incredible world’s first technology from Topcon. When connected with an external data collector, LongLink communication provides control at the remote rod position. The controller operator can record the data for codes and rod heights at the point of measurement. For stakeout, the remote operator can view directions required to find the next stake point. The system becomes very productive where the instrument man simply needs to follow, aim, and focus on the remote prism. Each Topcon total station has a telematics card installed that will communicate to the Topcon servers every day. The system then reviews what firmware version is installed. 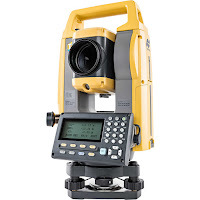 From this information Topcon can send an alert to the ES total station if a newer version is available. The ES total stations must be registered at the point of sale. From registration comes the power to control the operation of the ES. An owner can log into the TSshield website and lock an instrument if lost or stolen. This theft deterrent functionality is the first in the industry. With 36-hour operating time and a dual black and white LCD display, this survey instrument improves workflow and productivity. And with an IP-66 rating, this field instrument is dustproof and highly water-resistant. 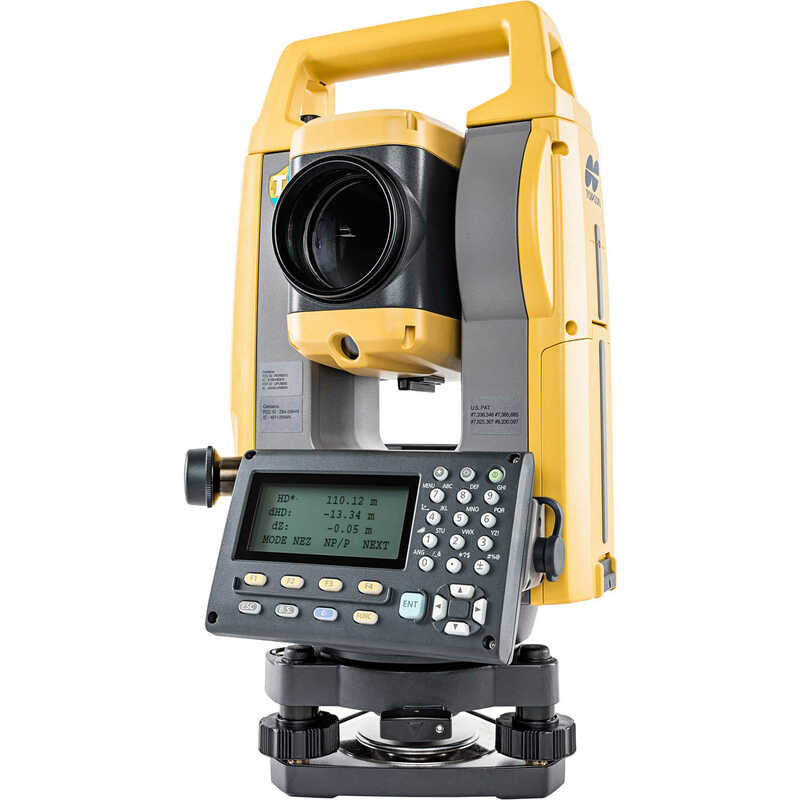 The ES-105 total station has a 10,000-point internal memory for storing field data, USB and RS-232c serial port and can be used with any of Topcon’s field controllers, such as the Topcon Tesla, FC-2600, FC-250, FC-236 and FC-25.